Cosplay girl. Photo by Marco Togni. Anime costumes prove to be a popular choice with fans of all ages. Anime is the Japanese word for animation, and as such, it has been adopted in the English-speaking world as an all-inclusive term for animated programming originating in Japan. The medium includes crazy comedies, epic fantasies, and serious dramas. Younger viewers may watch Naruto, YuGiOh, and Pokemon on their favorite cartoon networks. In fact, they probably don't even realize they're watching anime. Some of the more well-known movies and series for adults include Cowboy Bebop, Neon Genesis Evangelion, and Ghost in the Shell. Despite being animated, many of these programs are definitely not for young viewers. Among most anime fans, dressing up as a favorite character is referred to as cosplay, short for "costume play." To diehard cosplayers, accuracy is everything. They may cut and dye their hair to avoid wearing a wig, or custom-order an expensive undergarment in the name of staying true to the costume. However, many fans dressing in anime costumes are more casual about the experience. They just want to join in the fun and share their love for a particular character. While cosplayers may occasionally wear their costumes at Halloween, they generally save them for anime-related events, particularly conventions. Cosplay.com is an online cosplay community with information on upcoming anime conventions and tons of pictures of completed costumes. American Cosplay Paradise is a similar online community with pictures of costumes, convention information, and contests. TatteredWings.net is a personal cosplayer's site with pictures of her finished costumes and brief commentary on their creation. Some experienced cosplayers sell accessories and entire costumes to fans with less artistic skill. You can find their products in eBay auctions and personal websites. Just search for the name of your chosen character. You may also find sellers at anime conventions. 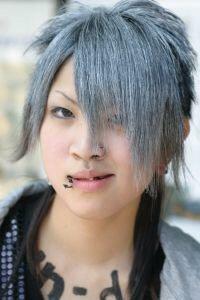 The Cosplay/Anime Costuming and Masquerade Links Site offers a list of businesses willing to take costume commissions.Some costume accessories, like wigs, can be purchased from any costume shop. 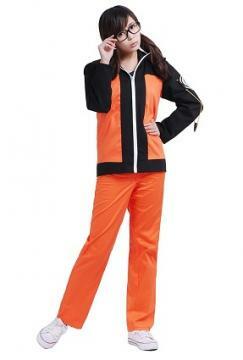 However, there are also online retailers devoted to the cosplay market. For instance, CosWorx specializes in the little details you need to create a great costume, especially items like shoes, stockings and wigs that are difficult to make on your own. Pokemon features a never-ending assortment of characters. While some characters like Pikachu have remained popular over the years, additional Pokemon are introduced with every new video game and television season. The imaginative designs of these animals make them difficult subjects for handmade costumes. For instance, this full-body Poliwhirl costume is not something the casual crafter would want to attempt. However, there are a few pre-made costumes available, including a Pikachu jumper with attached head. A Pokemon trainer is a more reasonable costume to create at home. Children can pick their favorite character from the show, imitate his or her choice in clothing and carry a Pokemon stuffed animal.